ISI Plast at Sigep 2019 - ISI Plast S.p.A. In the edition of the fortieth anniversary, Sigep confirms his leadership as a window on the world for the ice-cream shop’s sector and in general for the artisanal confectionary sector. 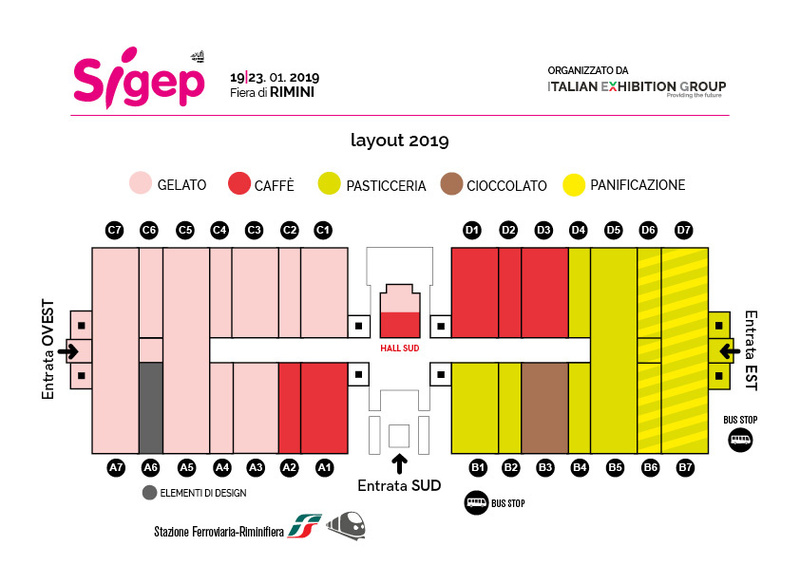 Sigep 2019 represents so a straordinary kermis dedicated to professionals which anticipates trends and innovations (raw materials, ingredients and equipments, furniture and services) of the 5 sectors (ice-cream, pastry, artisanal bakery, chocolate and coffee). ISI Plast has been involved for many years now in this important demonstration by proposing innovative solutions of packaging able to respond to the needs of these sectors. From Saturday the 19th to Tuesday the 22nd january the opening hours will be from 9.30a.m. to 6p.m. Wednesday the 23rd january the opening hours will be from 9.30a.m. to 3.00p.m. After 3.00p.m. and till 5.00p.m. will be possible to access to the demonstration only with the online ticket (for more informations we invite you to visit the official website www.sigep.it).